Leading edge technologies to deliver new ways of working for Christchurch Justice and Emergency Services Precinct. The Christchurch Justice and Emergency Services Precinct will be fitted with the latest cloud-based and wireless telecommunications technology under an agreement recently signed between the Ministry of Justice and Spark. As part of the Telecommunications-as-a-Service (TaaS) shared capability, terms of the deal will see the telco giant provide wireless capabilities from day one, when the Precinct officially opens in the third quarter of 2017. The $300 million Precinct will be home to the Ministry of Justice, New Zealand Police, Department of Corrections, New Zealand Fire Service, St John New Zealand, Ministry of Civil Defence and Emergency Management, and Canterbury Civil Defence and Emergency Management Group and the Christchurch City Council Civil Defence and Emergency Management. “The Precinct will be a world-class facility and the telecommunications services provided will truly represent a new way of working for the Ministry,” Ministry of Justice CEO, Andrew Bridgman, said. Bridgman said the Precinct’s ICT infrastructure provides the Ministry with the tools it needs to deliver "modern, accessible, people-centred" justice services. “Our people in Christchurch will be able to work flexibly using secure ICT services without being bound to their desks,” he added. “The mobile connectivity will improve the flow of information throughout the Precinct from front counters to busy court rooms, improving the service we deliver to the judiciary and our stakeholders while creating a more consistent experience for our customers. Specifically, the new connectivity solution is designed to be fully flexible and future-proofed, with the underlying infrastructure providing a base upon which services can be layered and switched out in a seamless manner. In addition, the cloud-based TaaS solutions being implemented on this new infrastructure will be commercially elastic, with the ability to be turned on or off, or scaled up or down depending on what’s required. 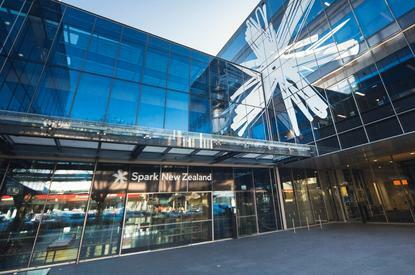 “We’re looking forward to working with the Ministry in delivering measurable business benefits from cross-sector collaboration,” Spark Digital CEO, Jolie Hodson, added. As explained by Hodson, the infrastructure being installed will connect directly to Spark’s optical backbone to minimise latency. Many of the agencies that will be based in the precinct, in particular the Emergency Services agencies, require a resilient connection to protect sensitive applications and ensure continuity when disruptive events, such as natural disasters, take place. To cater to this, Hodson said a geographically diverse Wide Area Network (WAN) is being installed via optical transport network nodes, which will allow diversity, not just to the Precinct, but also to two different exchanges as it exits Christchurch. “The underlying infrastructure being installed and the equipment being provided for the Ministry’s people are designed so that services can be easily and seamlessly updated, allowing the Precinct to continue innovating as technology develops into the future,” Hodson added. The signing of the contract marks a significant milestone in the build of the Precinct, with the Ministry and Spark to continue working together on opportunities to roll out this technology to other Ministry sites.